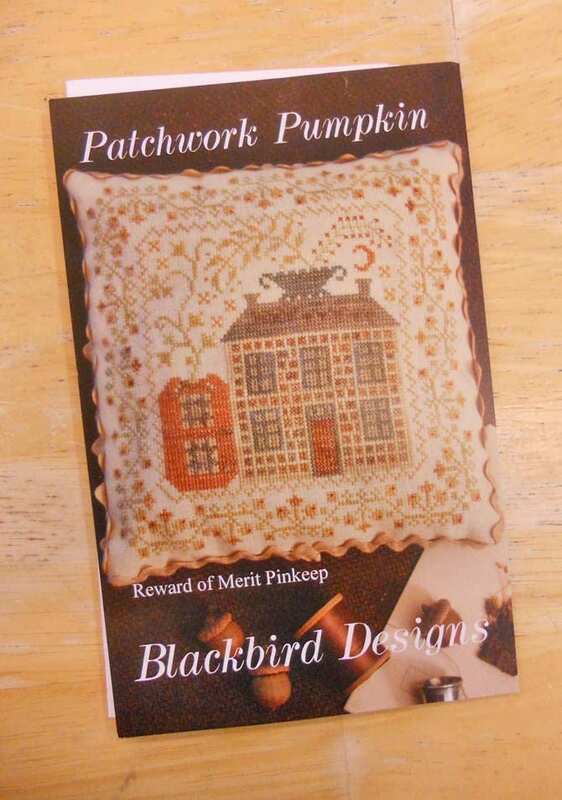 Patchwork Pumpkin, Reward of Merit Pinkeep, by Blackbird Designs...cross-stitch design. Patchwork Pumpkin finishes at 6 1/2 x 6 1/2 inches. 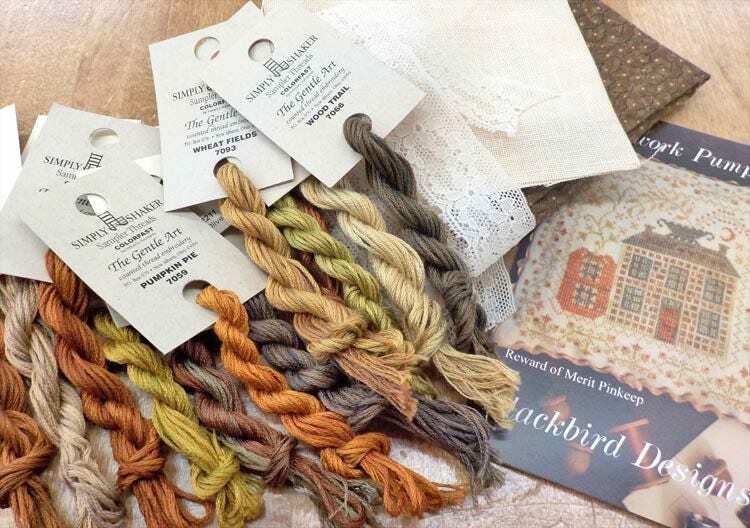 Pattern, threads, linen, backing, and 1 yard of vintage lace for the edging.